These tips give advice to all those willing into giving the learner additional driving experience from IAM RoadSmart’s head of driving and riding standards, Richard Gladman. Remember you are the responsible person and as such you are deemed to be in control of the car when you are supervising a learner driver, therefore the same road traffic laws apply to you as to the driver, e.g. not supervising a learner driver whilst under the influence of alcohol or drugs or using a hand held mobile phone. We recommend fitting an additional mirror to use as a rear view mirror from the passenger seat; a suction mirror often used to view children in the back is suitable, widely available and not an expensive purchase. 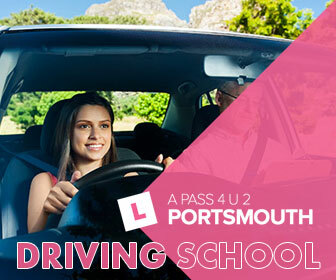 Talk to the learner’s driving instructor regularly; working out a practice plan can save valuable time and money. Planning your route and what you are going to cover is worthwhile as driving around aimlessly won’t be the best use of your time or experience. Taking a learner somewhere too advanced could also do more harm than good. Most importantly keep calm. Yes it’s easy to say, but keeping calm really will pay off and save any heated arguments with the learner behind the wheel. Setting a good example and explaining what you are doing when driving can be really helpful – it gives the learner an insight into what you are observing, anticipating and planning and gives them time to ask questions without being in the driving seat. Last but not least, remember things might have changed since you learnt to drive so when the learner says: “but my driving instructor says I should do it like this” listen and think about it, you can always check with the instructor later – you might even learn something new. Research proves that a combination of professional lessons and extra practice builds experience and can give a new driver a firm foundation for a safe driving career. Driving is a life skill so approach it properly with a good plan and a clear idea of how your miles together fit in with the approved syllabus.